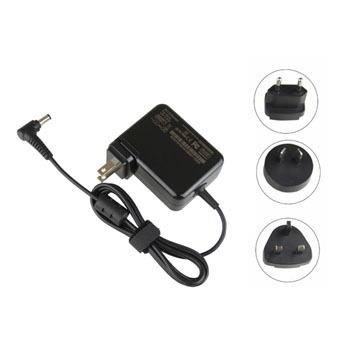 This ASUS F553M charger is a high quality replacement laptop AC power adapter. All parts of this product are directly purchased by various reputable manufacturers throughout the world, they have passed strict quality assurance procedures such as CE, UL, and ISO9001/9002 certifications. 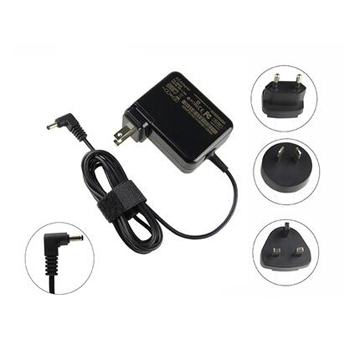 We focus on high quality OEM laptop power adapters for many years, this product 100% compatible works for your ASUS F553M notebook PC, meets or exceeds the original ASUS F553M power adapter. Best buy ASUS F553M power supply from professional online store www.laptoppowercharger.co.uk, we offer high quality replacement ASUS F553M charger for customers at best price. We have always been doing our best to provide the best service and reliable products for every customer. If you have any questions about this replacement ASUS F553M AC adapter, please directly contact us, we will reply within 24 hours. 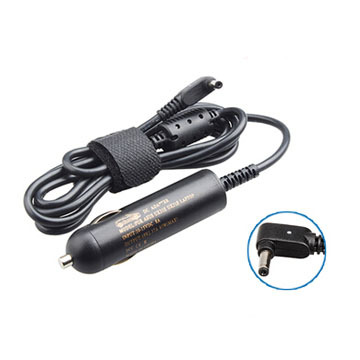 How to choose your replacement ASUS F553M charger? 1. Please determine the power connector size of your laptop, in order to select the connector size of the ASUS F553M power adapter. Normally, each brand notebook power interface has several different dimensions corresponding to different notebook models. 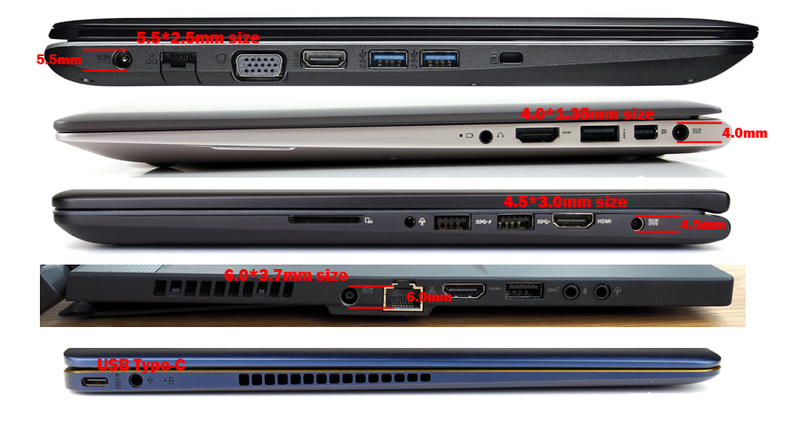 ASUS notebook interface to the most common sizes are 5.5*2.5mm and 4.0*1.35mm, some are 3.0*1.0mm. 2. Please determine the voltage and current parameters your laptop required, in order to select the voltage and current parameters of the ASUS F553M power supply. Sometimes the different configurations of the same laptop model requires different power parameters, so you need to check out what the parameters your laptop needs. You can find these parameters on a label at the bottom of the notebook, or you can also check it on the tag of your original ASUS F553M charger. 3. 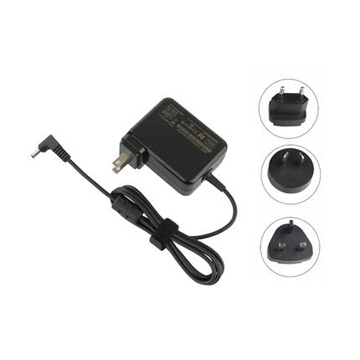 ASUS has introduced several generations of their laptop power adapters that have different shapes, but their parameters and connectors have not been changed. They are universal. So if you find that our products have different shapes from your original ASUS F553M charger, please don't worry, they are compatible.